Kate Motaung came to know Grief most intimately when her mom was diagnosed with cancer at the age of 50 and battled with the disease for nine years before the Lord called her home. She realizes, however, that everyone endures loss in their own way. Grief isn't always a linear process, but more often a cyclical journey. 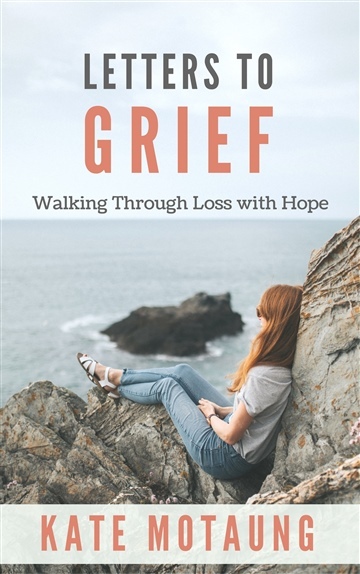 Through these letters and reflections, you will find encouragement and hope to deal with loss and grief in your own circumstances. Kate Motaung is the author of A Place to Land: A Story of Longing and Belonging, Letters to Grief, and Start-Up Guide for Online Christian Writers, and co-author of Influence: Building a Platform that Elevates Jesus (Not Me). She is the founder and owner of Refine Services and host of the Five Minute Friday writing community. Kate blogs at Heading Home (katemotaung.com) at Five Minute Friday (fiveminutefriday.com) and can be found on Facebook, Instagram, and Twitter.